Is success in college the endgame? In a recent e-mail exchange with a friend, I shared some thoughts on what, in my opinion, high school is all about. No doubt, a significant part of what we do at Cannon School involves helping students and parents prepare for the college experience. I get that. But I also believe there is more to high school than simply training for college. From my perspective, doing well in college is simply not good enough. Rather, being a good, generous, thoughtful member of the community is what ultimately matters. Cliche as it may sound, being able to appreciate and experience joy and fulfillment will define our place in the world long after our freshman year GPA is forgotten. Our understanding and care for others will matter more than our neatly framed university diploma. So to look at high school as simply “college training” is, I believe, missing the point. The first, “Harvard Schmarvard; Why Getting Your Kids Into Harvard Should Be The Least Of Your Concerns” is by Michelle Gilman and was posted today at the Huffington Post. The second, a 2007 New York Times piece entitled “Young, Gifted, and Not Getting Into Harvard” is by Michael Winerip. Thank you to Gilman and Winerip for having the courage to parent (and write) against the grain. I wonder how they did on their SATs. 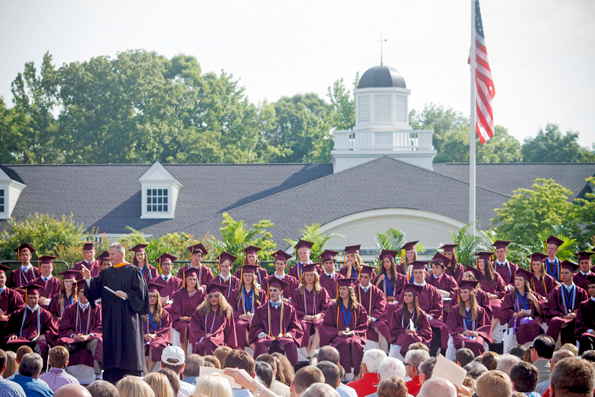 Cannon School is a JrK-Grade 12 independent school in Concord, NC.